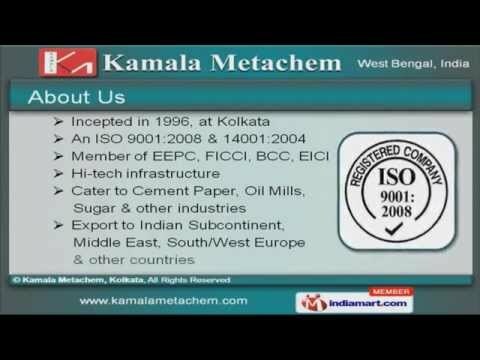 Welcome to Kamala MetachemManufacturer & Importer of Non Ferrous Metal Ingots & AlloyWe are an ISO 9001:2008 & 14001:2004 certified company, incepted in 1996 at Kolkata. We are amember of EEPC, FICCI, BCC & EICI & cater to Cement, Paper, Oil Mills & Sugar industries. Specialized R&D unit, timely delivery, customized solution & good financial position have helped us toearn present repute in the market. We are engaged in offering Lead Alloy Ingots & Copper Scraps. Our Zinc & Lead Alloy Ingots are manufactured using high quality raw materials. We offer premium grades Zinc & Lead Ingots that are a class apart. Copper Scrap & Bronze Ingots are some of our best selling products. Along with that we provide Zinc Scraps, Remelted Lead & Special High Grade Zinc. We also offer Aluminium & Alloy Ingots at market leading prices.